Cara Meyer was the recipient of our 2017 Alumni Scholarship. 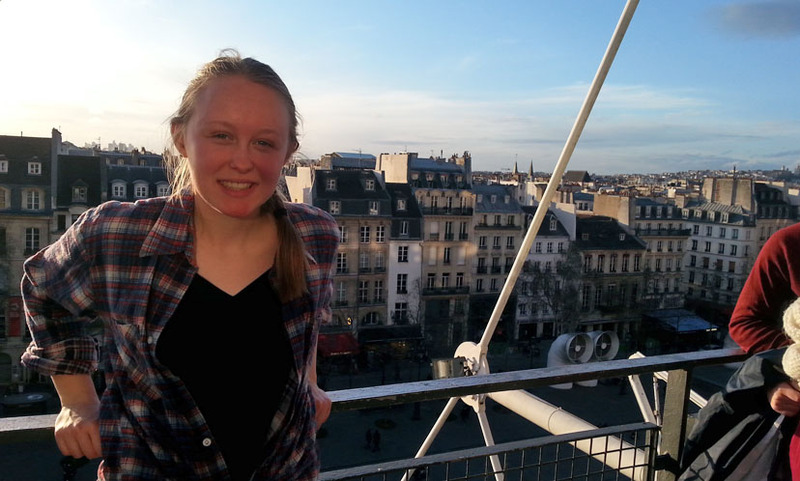 Cara traveled to France with Xperitas in 2016, along with Robbinsdale Cooper High School. Her language immersion program was an experience that forever altered her life’s trajectory. Recently, we caught up with Cara, who reflected fondly upon what her Xperitas program, and the scholarship, has meant for her future. I was very excited and honored to receive the Xperitas scholarship. College is very expensive, so to receive financial assistance just for going on a trip abroad (and, of course, for thoughtfully engaging with the culture and reflecting upon this experience) seemed too good to be true. My experiences traveling abroad in both France and Germany have opened my eyes to what I considered myself capable of doing. Now that I'm in college, I find myself often looking back on specific memories as a way to problem-solve. I can tell myself that if I figured out a bus schedule in a foreign language, or made friends despite cultural differences, surely I can think of a solution to whatever problem I am currently facing. Traveling and living abroad increased both my abilities and confidence in facing unfamiliar situations. This is something I use every day. There are also significant benefits to entering college with two, or even one, foreign languages. I had met the foreign language requirement for French, allowing me to take more interesting courses in the language instead of just meeting requirements. There are also plenty of opportunities to study abroad, doors that are opened to me because of my experience and comfort in the language and culture. For any students who are unsure about pursuing an immersion program, I can only recommend giving it a try. My trip to France with Xperitas brought a new dimension to a language and culture I hadn't experienced firsthand. Exploring new places and cultures abroad has given me some of my best memories and best friends, and has certainly played a role in shaping my goals for the future. Congratulations again, Cara, and good luck on the rest of your educational journey! We are currently reviewing the nominees for the 2018 Xperitas Alumni Scholarship, the winner of which will be announced at our 2018 Global Leaders Conference in Minnesota, so stay tuned!